We gonna open a recordstore. For a week. Dig through heaps of records from Fat Wreck Chords, Gunner Records, Specialist Subject Records, Pure Noise Records, Epitaph Records, Yo-Yo Records, No Idea Records, Dirtnap Records Official, Big Scary Monsters, Sounds of Subterrania, Fond Of Life Records, Rookie Records, Through Love Rec, Lauren Records, Hectic Society Records and many more. New and old. 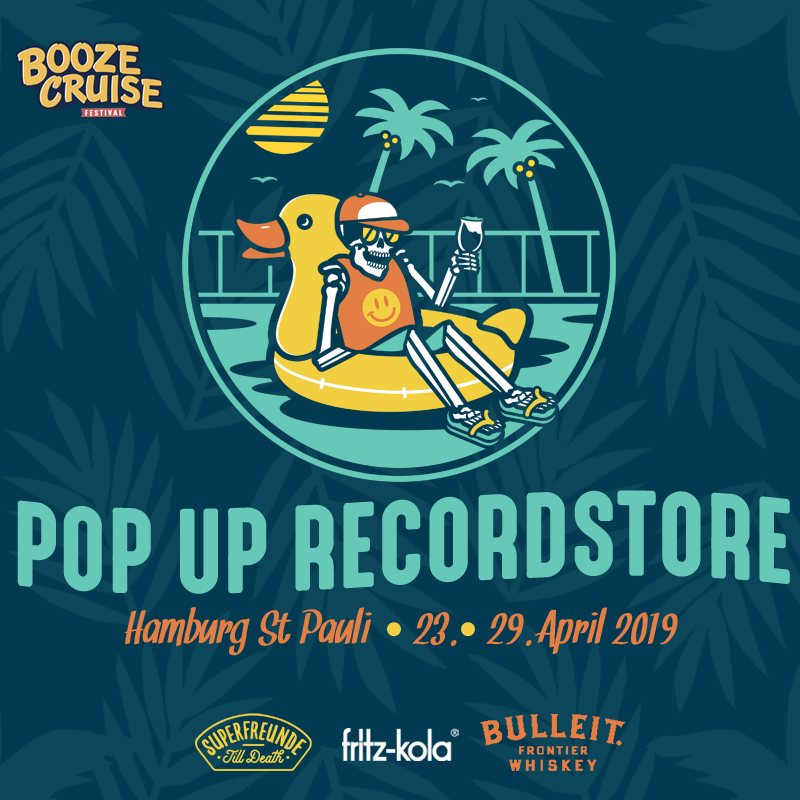 Grab a drink from SUPERFREUNDE, Bulleit and fritz-kola. We even have a slushy machine, wtf? We except cash and cards. We can literally smell Pizza Bande’s pizza from over here.